The next 30 days is when this information will be crucial. Customers can’t buy what they can’t find. Maybe you only use the term “notebook computer case” and your customers search for “laptop bags.” You can tweak your product pages and search engine for the various ways customers describe your product until the right pages show up when you test your site. You can also decide which products to feature on your home page, your ecommerce blog and email campaigns based on customer demand. Product searches for brands, models and colors that you don’t carry can also give you an idea of what to add to your store in the future. Site Search is disabled by default, but Google Help has a great explanation of how to enable Site Search. 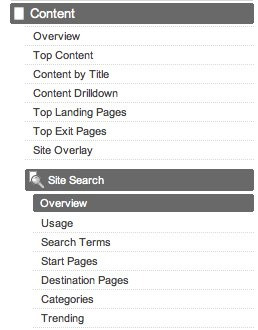 Site Search works with whatever internal search engine you’re using. 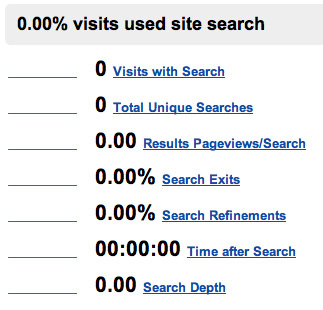 If you don’t have internal site search (I’m assuming all ecommerce sites do and if you don’t, what are you thinking?!) Google also offers a free or paid Custom Search Engine product.